Yesterday, I told my six year old that I hadn’t recommended a book on my blog in a while and I told her that I wanted her to pick the next book I’d write about. She ran over to her bookshelf and, after a few moments of internal debate, she walked back and handed me The Gym Teacher From the Black Lagoon. It wasn’t exactly what I was expecting (or hoping for), but a promise is a promise. 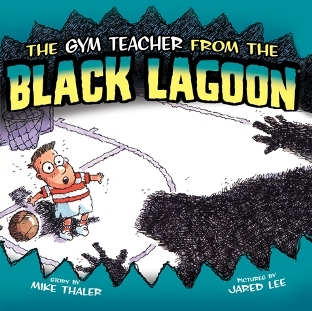 Let me put this out there right upfront – My kid LOVES Mike Thaler’s Black Lagoon series. LOVES it. She’s loved it since she was three. And I know many other kids who feel the same way. My feelings about the series, however, are more complicated. It’s not that I think Mike Thaler’s Black Lagoon books are bad books. They’re not. I like them. I particularly like Jared Lee’s illustrations, which are entertaining and goofy and always remind me of a fun hybrid of Sandra Boynton and Laura Cornell. They’re lightweight, durable, inexpensive, and, with the exception of early Berenstain Bears titles, they’re normally the highest quality books on those spinning wire racks at bookstores that are normally filled with crappy Barbie titles and uninspired Disney tie-ins. Black Lagoon books are perfect for light reading, car trips, or excursions to a restaurant. My daughter devoured every episode of The Muppet Show and Sesame Street that we’d share with her. She adored a Muppets poster that has hung over her bed since she was born, obsessively trying to memorize the name of every character in the line-up. (Her favorite obscure Muppet was always Angus McGonagle, the Argyle Gargoyle.) And she’s dressed up as both Miss Piggy and Fozzie for Halloween. 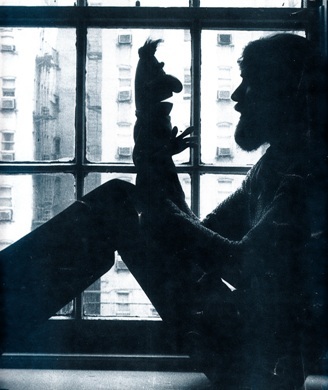 She was a Jim Henson fan before she could even comprehend who Jim Henson was. 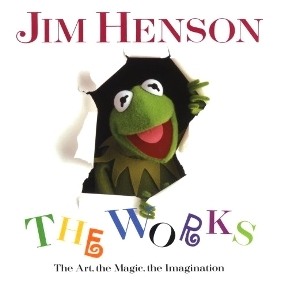 And, because she took to the Muppets so eagerly, I, of course, started seeking out books about the Muppets and other Henson projects that she might enjoy. However, strangely, there are not a ton of Muppet books available for kids. 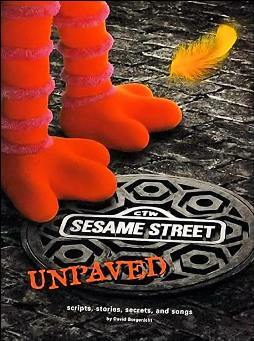 There are a lot of Sesame Street books, but if you’re looking for kids’ books about the Muppets, Labyrinth, Dark Crystal, or any other non-Sesame Henson project, the choices are fairly few and far between. However, there are options out there, if you’re willing to look for them. 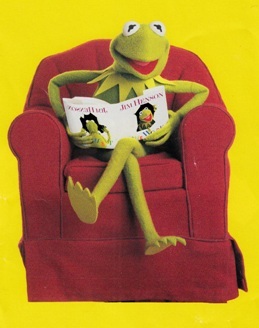 So, if you think your kid might enjoy the Muppets or if you’re a pop culture-obsessed parent-to-be that wants to push Ms. Piggy on your progeny, here are six books – a mixture of fiction and nonfiction – that might help foster a love of The Muppets in your developing reader. While I’d like to think that any good book is timeless, there are certain kinds of books that you end up buying for your children that do seem to come with a very implicit “best if used by” date stamped on their side. For example, I know many children who, once they reached a certain age, refused to read board books anymore. To them, board books = baby books. And, regardless of the book itself (we have board book versions of older-skewing books like Olivia and Madeline), some six-year-olds just won’t be seen dead reading a board book. 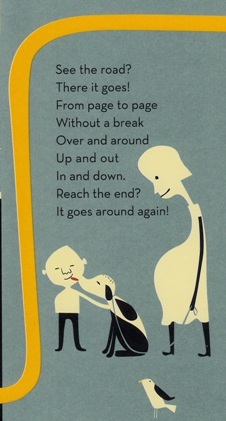 Another example of a kind of kid’s book that comes with a very distinct shelf-life is the Alphabet Book. Alphabet books are possibly one of the most common kinds of picture books you can find for younger pre-readers. 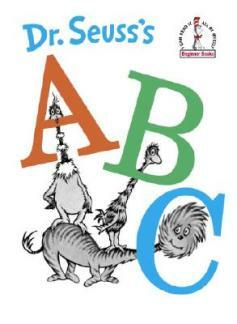 Their mission is simple and true – reinforcing kids’ knowledge of the alphabet from A to Z. This can be accomplished through pictures, rhyming couplets, you name it. Start at A, end at Z – they come with their own structure built in. No wonder there are so many alphabet books on the market. However, what happens to the book once a kid learns their alphabet backwards and forwards? Unlike storybooks, alphabet books can be fairly utilitarian. They normally don’t feature stories, characters, or emotions for children to encounter and revisit. Most alphabet books just want to make sure that kids know that J comes before K and, once that’s accomplished, it’s O.K. (letters 15 and 11, respectively) to put them aside. However, there are classes of alphabet books and some are much more expertly executed than others. Some alphabet books transcend mere letter instruction and can stand on their own two feet much longer than their more cheaply produced brethren. So, if you’re looking for a good alphabet book and you’ll like it to have a longer shelf-life than the crappy paperback A-to-Z book that came with your Happy Meal, here are six really great examples of alphabet books that do a whole lot more than just teach kids about letters. 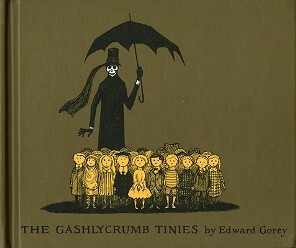 Let’s get this out of the way right at the top – the greatest alphabet book of ALL TIME is Edward Gorey‘s The Gashlycrumb Tinies. Granted, it’s more of a commentary on alphabet books than anything, but it is one of the most brilliant, oddball, most often-copied books I’ve ever read. (Fair warning – there are a LOT of lame “parodies” of The Gashlycrumb Tinies out there.) But it is dark. And it is macabre. It is really, really macabre. And if your kid is into that, they might LOVE it. Personally, I know my daughter is far too easily creeped out to really enjoy a line like “X is for Xerses devoured by mice” without it giving her nightmares for a week. In regards to your own kid, you can read the whole book online here and decide for yourself. 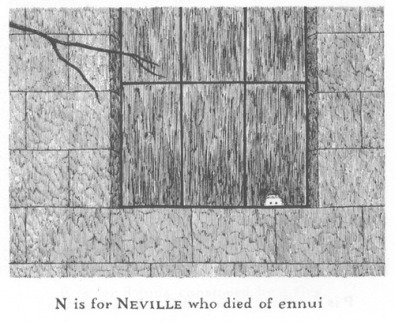 But, even though I can’t imagine ever giving The Gashlycrumb Tinies to a still-learning-to-read three-year-old, there is such genius and humor in Gorey’s work that it’d be a shame to keep this alphabet book away from kids entirely. As such, there’s a copy of The Gashlycrumb Tinies sitting on our “Books My Kid Will Read in the Future” shelf that’ll be waiting for my daughter whenever I think she’s ready for it. Hands down, the greatest literary death of all time. Using capitalism to teach kids the alphabet…genius. We open on a tracking shot of a publishing executive giving Weird Al a million dollars to make the best book trailer ever…. While I was still reveling in my excellent recent purchases at a holiday book sale, I decided to go online and see if any of the titles I bought had book trailers available. Although, I should note right off the bat that, even though they’re growing in popularity, book trailers can be pretty hit or miss. Sometimes, they do a great job of stoking your interest in a title by using exciting, cinematic imagery or offering interesting insights from the authors. And, other times, they look like half-assed junior high AV projects that a student threw together in an hour in lieu of turning in an English paper. Fortunately, three of the books I purchased this week – Along a Long Road by Frank Viva, The Trouble with Chickens by Doreen Cronin and Kevin Cornell, and When I Grow Up by Al Yankovic and Wes Hargis – all had very decent, very well-produced book trailers available, which I thought I’d pass along. For starters, the trailer for Along a Long Road does a cool job of showing off Viva’s rich, stylish artwork and making it clear that the illustrations really were created as a single 35-foot-long piece of art (which still blows my mind). And, finally, we get the trailer for When I Grow Up. This trailer is mostly just excerpts of Al Yankovic reading from the book, accompanied by slightly animated versions of Wes Hargis’ artwork, but I think that was a great choice for this preview. Weird Al has such a distinct and downright wacky reading voice that he’s a great ambassador for the book. If I was a kid and I heard Al’s narration on this trailer, I’d want to read the book ASAP. One of the perks of my day job is that, every year, they do an EPIC holiday book sale. For two days, a group at my office sells a tremendous selection of children’s and young adult titles at discount prices and donates all of their profits to Reading Is Fundamental (RIF), the nation’s largest nonprofit children’s literacy organization. So, I get amazing kid’s books delivered to my work, sold at bargain prices, and all the profits go to one of my favorite charities. That’s what I call a WIN-WIN-WIN scenario. Look upon and tremble at my hoard of books! They just finished this year’s book sale and I walked away with a selection of really impressive titles. Some were old, some were new. Some were library favorites, some I’d never heard of. 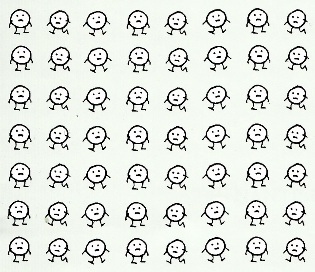 But I’m very pleased with all of them. So, in the spirit of the holidays (and so I can brag about my shopping prowess), I thought I’d give you a quick breakdown of the five books I purchased this week – which range from picture books to chapter books – all of which I’d definitely recommend for any home library. Enjoy. This picture book first got on my radar thanks to Carter Higgins‘ great review of it on Design Mom (Carter is also responsible for the fantastic Design of the Picture Book blog), so, when I saw it at the book sale, I scooped it up without even opening it. (Mine!) I then walked around the book sale for ten minutes, trying to read it and browse at the same time, but it wasn’t really working. Along a Long Road is just such a brilliant and beautifully executed picture book that it absolutely demanded my full attention. 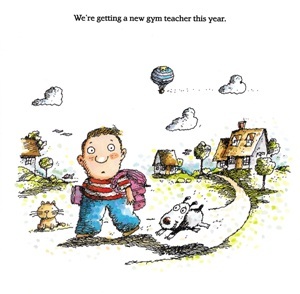 Frank Viva is a major talent and I honestly can’t believe that this is his first book for children. Even the cover flaps are gorgeous! 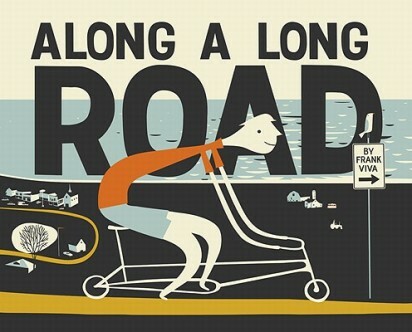 Along a Long Road is a gorgeous celebration of just getting on your bike and riding. Viva’s stylish layouts follow a lone cyclist riding his bike “along a long road”, “going up around a small town and down into a tunnel” – the reading rhythm actually rises and falls with the rider’s momentum. And that undeniable sense of momentum is helped by the fact that Viva ingeniously designed the book “as a single, continuous thirty-five-foot-long piece of art.” That’s right – the cyclist’s journey was originally composed as one long, long single canvas and somewhere, I promise you, a fan of this book is right now working on a way to transform the cyclist’s journey into the coolest wallpaper runner EVER for their baby’s nursery. Along a Long Road is sophisticated, energetic, and engaging and, while reading it, all I could think about was Lane Smith’s The Happy Hocky Family and Queen’s epic “Bicycle Race” anthem – which, c’mon, is pretty awesome. 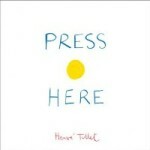 The New York Times named this as one of the “10 Best Illustrated Children’s Books of 2011” and they weren’t wrong. Very highly recommended. A few months ago, I found out that two of my best friends in the world were having a baby. And not just “a baby”, they were having twins – twin girls – after years of unsuccessful attempts to get pregnant. Needless to say, I was overjoyed, just completely over the moon for them. But then… all my OCD impulses kicked in and I immediately thought, “Oh man, I have to make sure those girls have a decent selection of reading material.” So, for the second time, I embarked on an attempt to “build a library” for a new baby (or babies, as it were). However, a few weeks into the pregnancy, my friends turned to me and said, “Hey, remember that whole one-book-a-week thing you did for Charley? We’re doing it too.” I laughed hysterically, said “Good to know!”, and pulled out the eight-or-so books that I’d already bought them. Fortunately, we hadn’t doubled up on any of the books – but they’re twins, so I feel doubling up is OK – and it just reaffirmed my long-held opinion that my friends are AWESOME. If asked to “build a library” for the children of my very best friends, these are some of the books that would immediately rise to the top of my list. Yes, it’s subjective and selective and built around my own weird variables – there aren’t any Mo Willems books on the list yet because I wanted to see how many Pigeon books they’d get at their baby shower – but I think ANY of these books are great places to start. Last September, I called My Friends “an ideal bedtime book. 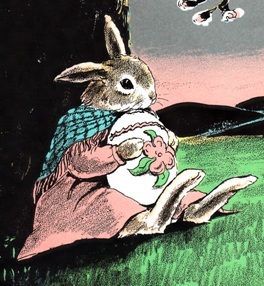 Truth be told, I literally read My Friends to my daughter at bedtime every single night I put her to bed from when she was five months old until she was about 15-months-old.” One of the best board books in history, in my humble opinion. We actually don’t own a copy of Animalia ourselves – I don’t know if my daughter has ever read it – but it is simply one of the most expansive and beautiful alphabet books that I’ve ever encountered. Graeme Base has created this gorgeous tapestry of images, a collection of widescreen fantastical images of animal life, each accompanied by short alliterative phrases like “An Armoured Armadillo Avoiding an Angry Alligator.” I love the idea of taking the 70mm Cinemascope beauty of Base’s illustrations and plopping it in front of a young child. It will blow their minds. And they’ll think the alphabet is a million times more interesting than it actually is. Easily one of our most read board books of all time. I don’t what makes Jamberry so appealing to young children, but my daughter loved it. The story follows a boy and his bear best friend berry-picking and wandering through a variety of berry-inspired landscapes. 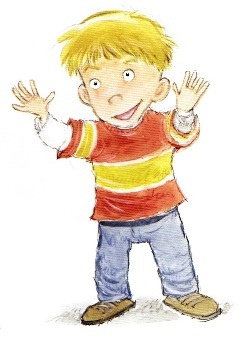 We start with “One berry, two berry, pick me a blueberry” and, as the boy and the bear head out “looking for berries / berries for jam”, the verses quickly pick up steam. 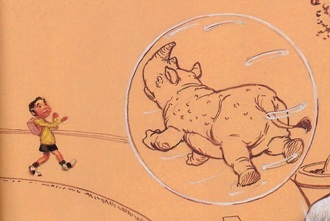 The whole book is a crescendo, throwing the friends into one bigger situation after another, escalating to the point where their travels involve marching bands and elephants figure-skating on jam. And every page of Jamberry is just teeming with berries in every way, shape, or form. It’s a lovely, energizing book to read out loud and, in my experience, kids love Bruce Degen’s visuals of his odd little berry universe. Last November, I wrote an article about “The Difficult Task of Introducing Your Kid to Folk Tales and Fairy Tales” and one of my recommendations was to steer kids towards “anything in Paul Galdone’s Folk Tale Classics series.” Galdone is a tremendous author and illustrator and his “Folk Tale Classics” represent some of the best retellings of “classic” stories that I’ve ever seen. If you want your kid to grow up with a firm knowledge of everyone from The Gingerbread Man to Red Riding Hood, Galdone is your man. For this library project, I went with two of my daughter’s favorite editions of Galdone’s folk tales – The Little Red Hen and The Three Little Pigs. Back in September, I waxed rhapsodic over the second Bink & Gollie book, Two for One, but the original is just as good, if not better. With Bink & Gollie, the authors – Kate DiCamillo, Alison McGhee, and Tony Fucile – have created a George & Martha for a new age. It’s a beautiful, hysterically funny look at friendship. As I mentioned in my review of Two for One, “I’ve been meaning to write about the original Bink & Gollie for months now (and I still probably will one day), but it’s one of those books that is SO good that it’s actually intimidating to write a review of it. How can I possibly convey the depth of the warmth and humor in Bink & Gollie in a simple blog post?” That’s all still true. This is a home library essential. All the hip kids are into Taft these days, right? That’s right. 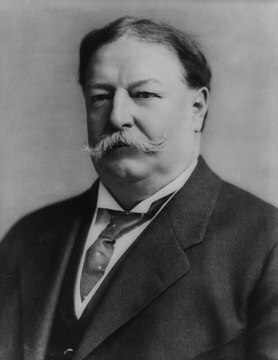 William H. Taft. The twenty-seventh President of the United States. Also known as “Not one of our best-known presidents AT ALL.” He’s the guy who came after Teddy Roosevelt, a.k.a. “TOTALLY one of our best-known presidents, plus he was in those Night at the Museum movies, so it REALLY wouldn’t be weird if your five-year-old knew HIM.” But, nope, my kid likes Taft. She’s funny that way. So, how did my daughter become enamoured with a president whom some might understandably label as “obscure”? Well, earlier this year, we visited some friends who live right outside of Washington D.C., and we spent one day walking around the National Mall, seeing the White House, visiting the various memorials, and generally having a great time. I wasn’t prepared for how much my daughter enjoyed the experience. She was endlessly curious about everything we walked past, and I spent the day trying to explain everything from the legacy of Abraham Lincoln to the cause of the Korean War. We were walking to our local library a few days after we got home from D.C. and my daughter informed me that she wanted to get some books on the presidents. I said that was a great idea, and she then asked me if I knew any stories about the presidents. 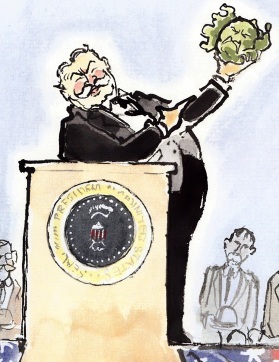 I paused for a moment and said, “Well, did you hear about the president who was so fat he got stuck in the White House bathtub?” That was, of course, William H. Taft. My daughter’s eyes went HUGE with excitement. “You are joking,” she said. “Really?” She then started laughing hysterically. Once she stopped, I recounted a half-remembered anecdote about Taft, being the fattest president on record, once getting stuck in the tub – a bathtub that he later replaced with a tub supposedly big enough to bathe four men. My daughter went CRAZY for this story. She loved it. She couldn’t get enough of it. She kept asking me for more details, which I didn’t have. I’d heard the story once before and wasn’t entirely sure it was true. Once we got to the library, my daughter ran over to the youth librarian and the two of them disappeared into the stacks together. Minutes later, she came running back to me, beaming and holding a picture book. “I found it! I found it!” she yelled. 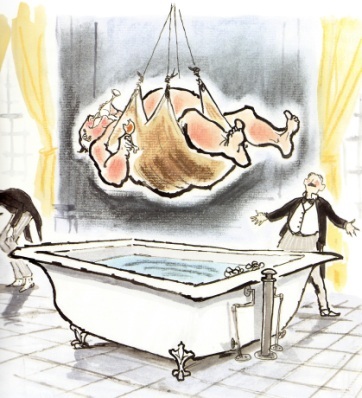 And she opened her book to a lovely illustration of the late great William H. Taft being hoisted out of a bathtub. Today, I’m finishing a short series of recommendations in which I’m highlighting three fairly amazing picture books that my family has been enjoying recently. 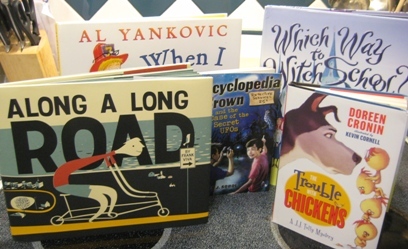 These are backlist titles – no recent best-sellers or anything – that I think are perfect for any bored kid looking for an interesting picture book to read this summer. 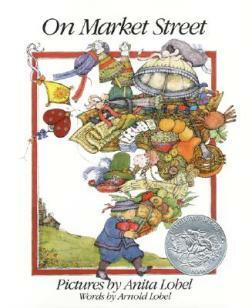 I mentioned in my introduction on Monday that one of the picture books on my summer reading list was currently out of print and, I’ll warn you, some might think this is an odd choice for fun summer reading for a child. In fact, we didn’t even buy this book for our daughter. A friend of ours gave this book to my wife years ago, but my daughter recently found it on the shelf, opened it up, and took a shine to it. 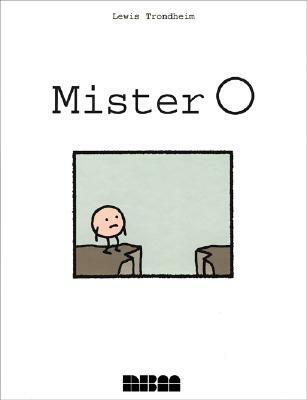 Mister O (2004) is the work of cartoonist Lewis Trondheim, a prolific and award-winning artist from France, and it’s a very singular picture book. I’ve never actually seen anything else like it. The title character of the minimalist Mister O is a just a small circle with eyes, a mouth, arms, and legs. He is simplicity defined and so is his task at hand – he needs to get across a ravine. What follows is a series of deftly handled comic situations that feel like a glorious highlight reel from the life and times of Wile E. Coyote. Yesterday, I kicked off this short series in which I’m going to be calling out three fairly amazing picture books that have been on our family’s radar lately, books that I think are perfect for any bored early reader looking for something interesting to read this summer. These aren’t recent books or hot new best-sellers. They’re just what we’re reading and enjoying at the moment and I think they make for great summer reads. And, in my introduction to the series yesterday, I made an off-hand reference to a note I’d scribbled while looking for books to recommend. 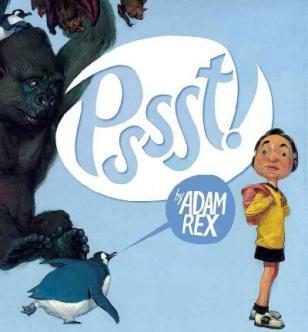 The note was “Best zoo book ever?” I was referring to today’s recommendation, Adam Rex‘s PSSST! 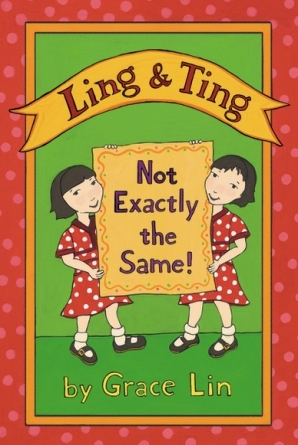 (2007), a wonderfully original comedic gem of a picture book. 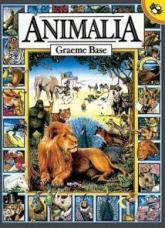 The best part was, once we got home, we discovered that the book took place at a zoo – from the cover, we only knew it was about a girl talking to animals – and, coincidentally, my daughter was right in the middle of attending a week-long summer day camp at our local zoo. So, that weird piece of chance, mixed with the fact that my daughter found the book to be hysterically, uproariously funny, meant that we read PSSST! at bedtime every night for a week. It was a colossal hit. 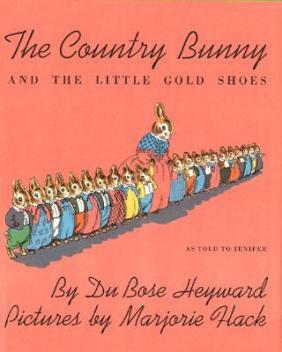 The story opens with a young girl visiting the zoo by herself. And, before I get much further, I have to mention that this is one of the most visually arresting, hands-down coolest zoos I’ve ever seen in a picture book. Adam Rex‘s imagination is only matched by his tremendous artistic talent, and his vision of a zoo in PSSST! is so original and whimsical and grand that my daughter spent days poring over the details on every page. Details like the ticket booth shaped like the letters “ZOO” or the Egyptian-themed camel habitat called “Camel-lot.” This is a zoo where deer and rhino roam the grounds in giant hamster balls and a narwhal swims in a giant glass snowglobe. This is a very, very cool zoo. GORILLA: Great. Listen. Could you get me a new tire? 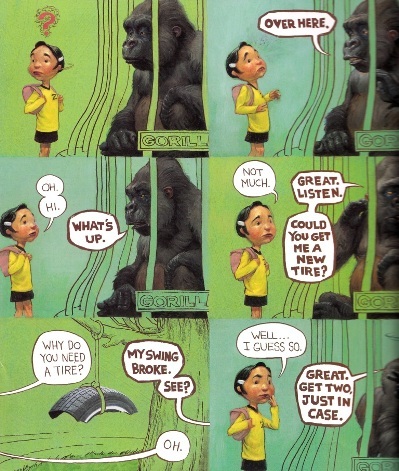 GIRL: Why do you need a tire? GORILLA: My swing broke. See? GIRL: Oh. Well… I guess so. GORILLA: Great. Get two, just in case.